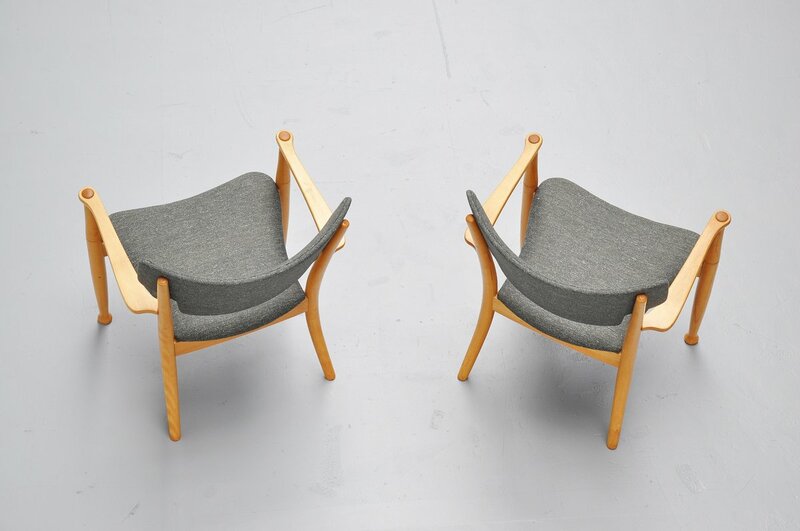 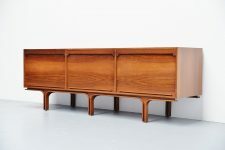 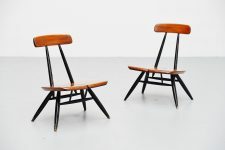 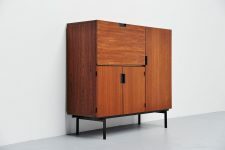 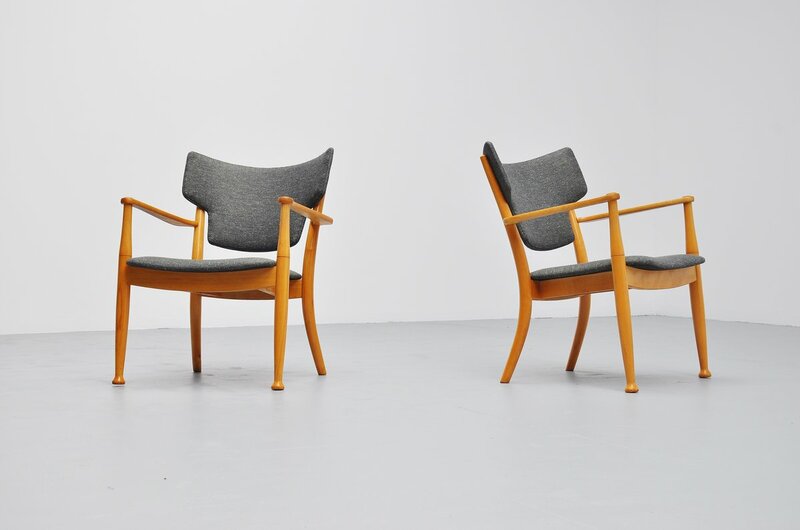 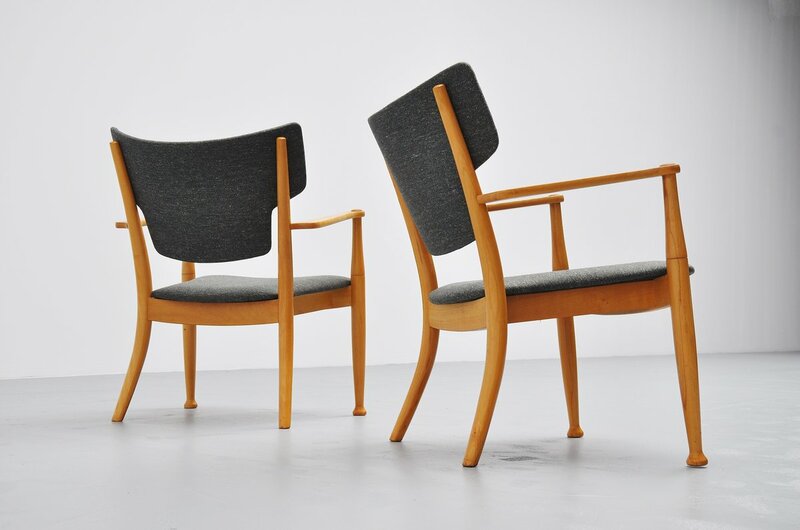 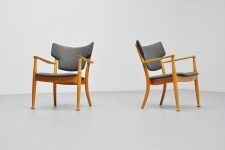 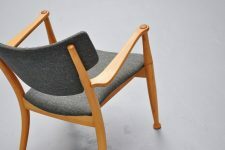 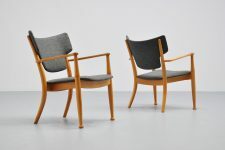 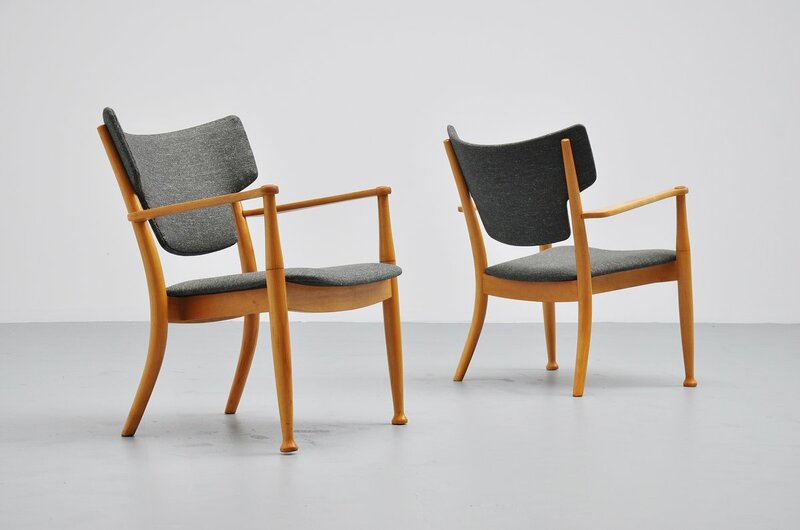 Fantastic pair of easy chairs designed by Peter Hvidt (Designer) and Orla Molgaar Nielsen (Architect and Designer) for Portex, Denmark 1944. 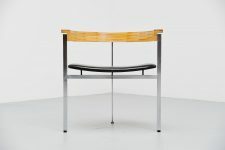 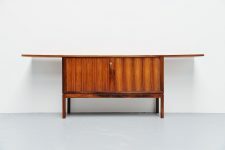 This chair was originally designed as stacking armchair for dining table, and was about the 1st stacking chair designed in Denmark. 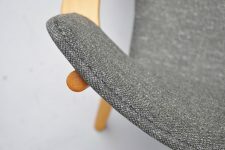 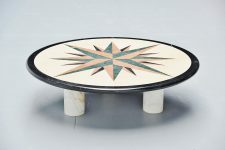 This is for the easy chair version with upholstered seat. 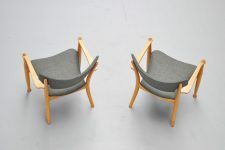 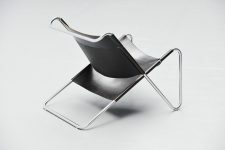 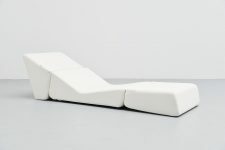 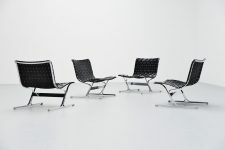 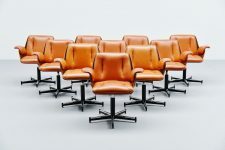 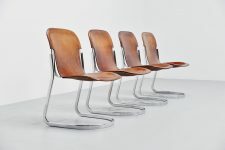 Very nice sculptural chairs with high comfort seating range. 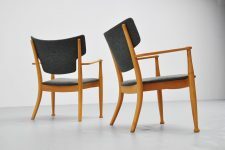 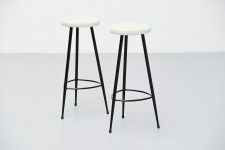 These are newly upholstered with very nice old look fabric, half wool half synthetic. 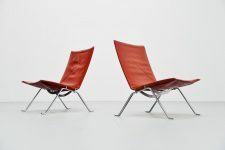 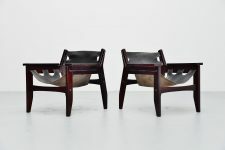 Beautiful pair of lounge chairs.